Chicagoans who followed the classical music scene in the 1990s were likely first introduced to the amazingly talented McGill brothers when they performed with the Chicago Youth Symphony Orchestra. Raised on the South Side of Chicago, they began studying classical music at an early age, and by their high school years were receiving national attention. Now, as musicians who hold principal positions in major orchestras, the brothers have not only reached the pinnacle of their chosen professions, but are among the few African Americans to do so. 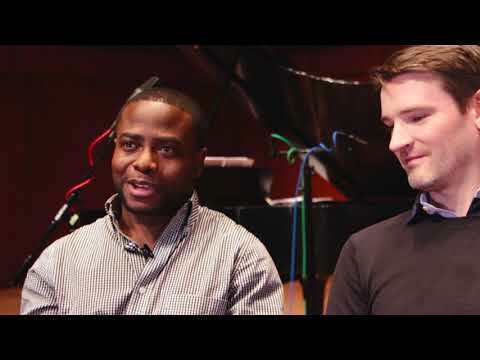 Demarre McGill recently returned to the Seattle Symphony as principal flute, and younger brother Anthony McGill is principal clarinet of the New York Philharmonic. Together with Irish pianist Michael McHale, they formed the McGill/McHale Trio in 2014. Portraits is the trio’s debut recording, released on the prominent Chicago-based Cedille label. 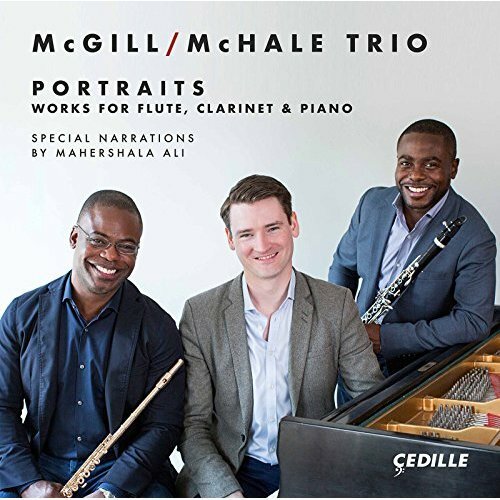 For this project, the McGill/McHale Trio selected works by living composers; three of those works are recorded for the first time on Portraits. The album takes its title from the longest work on the disc (26:03), Portraits of Langston by Kentucky native Valerie Coleman, flutist/composer of the Chicago-based quintet Imani Winds. 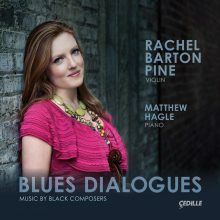 Composed in 2007, her six movement suite is based on selected poems by Langston Hughes, which are recited before their corresponding movements by Oscar-winning actor Mahershala Ali. Hughes’ love of jazz is conveyed in Coleman’s musical palette, along with other styles reflective of the Harlem Renaissance era. 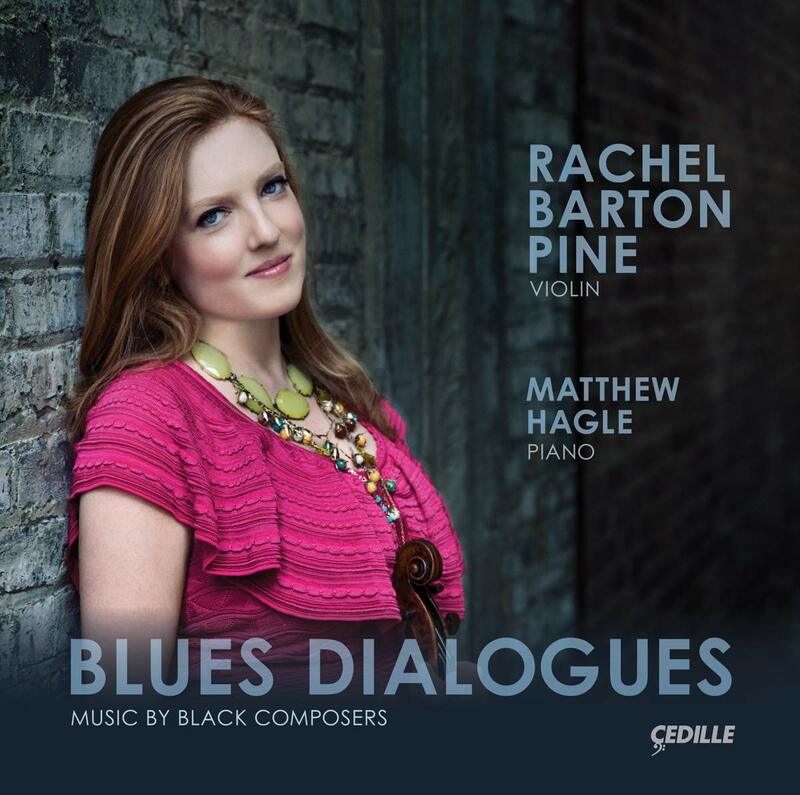 The suite begins with the short, melodic “Prelude: Helen Keller,” then delves into the polyrhythmic “Danse Africaine.” After an extended clarinet solo, the movement becomes increasingly frenetic, offering an opportunity for each instrument to shine. The poem “Le Grand Duc Mambo,” describing an altercation between the dancers and patrons of a Parisian cabaret, is masterfully mimicked by flute and clarinet as they enter into a brief and occasionally strident squabble. “In Time of Silver Rain” speaks of a period “when spring and life are new.” Here Coleman eschews jazz, writing instead a short, atmospheric piece with hints of Debussy in the piano intro and undulating winds, which also carries over into the flute solo. Returning once again to Hughes’ brief sojourn in Paris in the 1920s, “Jazz Band in a Parisian Cabaret” is “that tune that laughs and cries at the same time.” As the programmatic movement progresses, jazz inflections intensify, with the climax brilliantly pairing stride piano against clarinet riffs. Though one might expect “Harlem’s Summer Night” to be more boisterous, Coleman instead concludes the suite in a more tranquil manner, with blue notes only occasionally jarring the calm of the evening. French composer Guillaume Connesson reveals his pop music influences in Techno-Parade (2002). This virtuosic work features “a continuous pulsation from start to finish,” emulating the repetitive nature of the Kraftwerk-influenced electronic dance music that emerged from Detroit’s African American clubs in the 1980s and became hugely popular in Europe. The ensemble performs brilliantly, maintaining precision throughout the complex counterpoint and rhythms, and increasing the intensity right up to the explosive finish. Other works featured on the recording include an orchestrated version of Chris Rogerson’s A Fish Will Rise (2014/2016), based on Norman Maclean’s best-selling book A River Runs Through It; Paul Schoenfield’s Sonatina for Flute, Clarinet and Piano; Philip Hammond’s The Lamentation of Owen O’Neil; and McHale’s arrangements of both Sergei Rachmaninov’s Vocalise and the Irish traditional song The Lark in the Clear Air. Portraits showcases the formidable talents of Demarre and Anthony McGill, who have found their match in the outstanding pianist Michael McHale. Performing with emotional intensity, extraordinary precision, and superb blending of timbres, the McGill/McHale Trio presents a dazzling debut album that’s equally significant for its three world premiere recordings of contemporary works. Highly recommended!